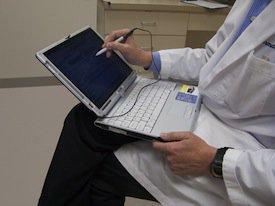 How Safe Are Electronic Medical Records? Gone are the days when you would go to the doctors and medical personal would write notes into your chart, which was usually a large manila folder with pages and pages of notes and test results. Today when you visit your doctor, there is typically a laptop or some kind of computer in the examining room where a nurse or doctor will enter in the same information that used to be written by hand. This system is supposed to be safer and more efficient. However, many in the medical field are beginning to question the safety of this system. Electronic medical records (EMR) are supposed to provide a centralized location for all of a patient’s information and medical history, enabling all of the medical professionals who may be treating the patient to access the information quickly and easily. However, several recent studies have concluded that these records may be causing more harm to the patient than good. One of the biggest issues uncovered is that doctors are spending so much time filling out the required areas of the online forms and studying the information that the quality and quantity of time actually spent on the patient is suffering. One study determined that doctors are now spending one-third of the time looking at the computer screen and reading the information online. Previously, doctors used to spend about 9 percent of their time with a patient and reading his or her medical chart, with the rest of the time engaging with the patient. Another study revealed that the average time a doctor now spends talking to a patient is only eight minutes, because they are spending the rest of the time with the patient filling out the online forms. This is also causing physicians to “cut corners” and rushing through patient interviews, often omitting important questions. Other studies have found that EMRs may lead to preventable errors, such as medication errors, as well as a decrease in the efficiency of the medical staff and facility. There is also a higher risk of incorrect billing to insurance companies, which can drive up healthcare cost. If you have suffered permanent disabilities or illness due to a diagnostic error, you may be entitled to compensation. Contact an experienced Westport medical malpractice attorney to discuss your legal options. A study conducted by researchers at John Hopkins University School of Medicine reveals that the most dangerous and costly mistakes made by doctors are diagnostic errors. 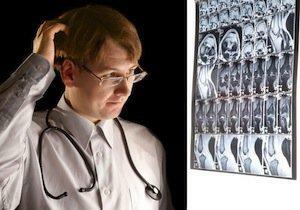 According to the study, more than 160,000 people die in the United States each year because of physician misdiagnosis. A diagnostic error can hamper the treatment of a patient’s condition and can cause serious injury or even death. The research team examined more than 350,000 paid-out malpractice claims which had occurred between 1986 through 2010. They obtained the information from the National Practitioner Data Bank. The majority of the claims paid outX—28.6 percent—were due to misdiagnosis or failure to diagnose on the part of physicians. These claims typically resulted in extreme harm to the patient. These claims were also the highest paid out claims and accounted for 35 percent of the total amount of medical malpractice claims paid. The payout of diagnostic error claims totaled almost $40 billion. There were 69 percent of outpatient diagnostic error claims and 31 inpatient claims. There were more deaths that occurred for the inpatient claims. The majority of diagnostic errors analyzed in the study were classified as failed diagnosis, with misdiagnosis errors coming in second. Errors involving neurological diagnosis were the most common. The head of the research team, Dr. David E. Newman-Toker, an associate professor of neurology at Johns Hopkins University, estimates that diagnostic errors occur in almost 15 percent of patients on their initial visit to a doctor for a new medical issue.